Perfect for deeper clean. Active dirt remover. Removes oil, greasy dirt, as well vehicle and road dirt. Phosphate-free. For use with Karcher Foam Bottles. 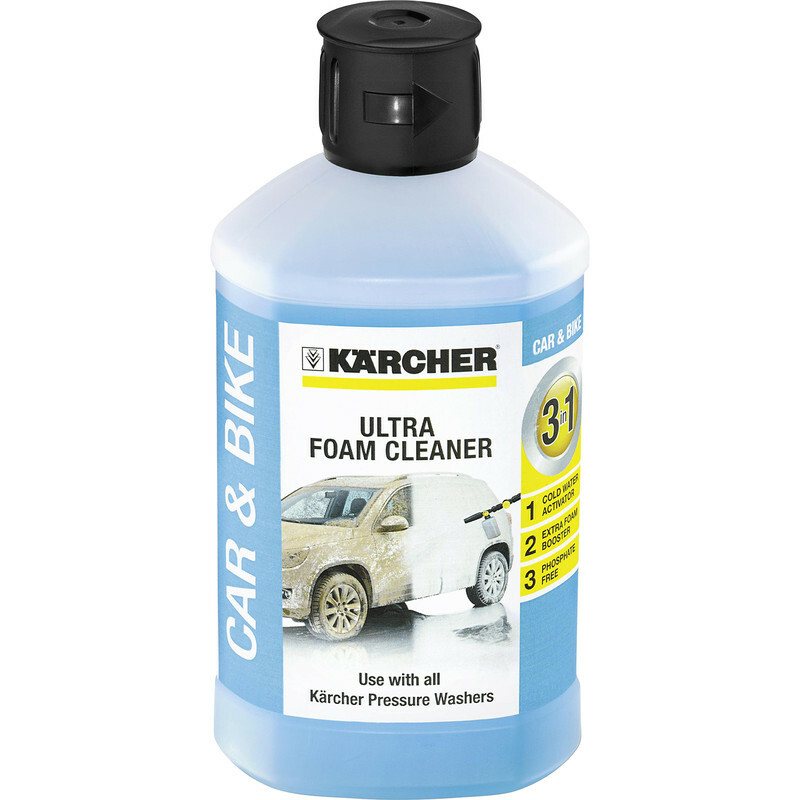 Karcher Ultra Foam is perfect for a deeper clean. thanks to the new active dirt remover it effortlessly and quickly removes even oil and greasy dirt, as well as typical vehicle dirt and road dirt. Phosphate-free and gentle on materials.